Koichi Kawai, the company founder, was born in Hamamatsu, Japan in 1886. As the son of a wagon maker, Kawai developed an ability to create mechanical devices and inventions as young boy. His neighbor, Torakusu Yamaha, a watchmaker and reed organbuilder, noticed Koichi riding past on a unique pedal-driven cart he built himself. Impressed, Yamaha, who was struggling to build his first upright pianos, took the early-teenager in as an apprentice. While just a young man, he became a key member of the research and development team that first introduced pianos to his country. He proved to be a gifted inventor who became the first to design and build a complete piano action in Japan. He was awarded many patents for his designs and inventions. Yamaha died in 1916, and in the 1920s the piano industry faltered in Japan. New management took over control of Yamaha's company, Nippon Gakki Co. (later renamed the Yamaha Corporation), and began to diversify its production line. 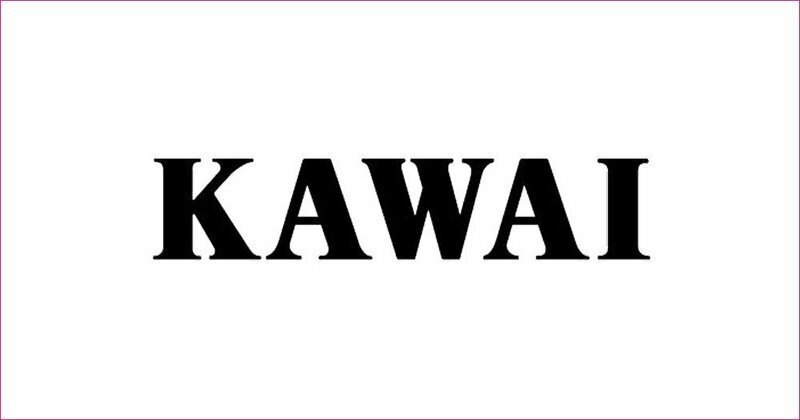 This led to Kawai, who wanted to make pianos, not motorcycles and other products, to become frustrated with the company. In 1927, Koichi Kawai left Nippon Gakki and founded the Kawai Musical Instrument Research Laboratory along with seven like-minded colleagues. In the early days, the only thing that supported them was their passion for music and desire to produce superior pianos. After Koichi Kawai's death in 1955, his son, Shigeru Kawai became company president at 33. He was determined to remain true to his father's ideals. He foresaw rapid growth in the music industry and planned accordingly, expanding production facilities and establishing a number of music organizations. In 1980, he opened the Ryuyo Grand Piano Factory. Later, he introduced the Shigeru Kawai Grand Piano line, which he described as "his personal legacy to the piano world." Shigeru Kawai was president of the Kawai company from 1955 to 1989, chairman from 1990 until 2002, and a company consultant until his death in 2006 at 84. Shigeru Kawai's son, Hirotaka Kawai, was appointed president in 1989. Under his guidance, the company embarked upon a program that invested tens of millions of dollars to integrate advanced robotics into the manufacturing process. He established Kawai manufacturing facilities around the globe. More recently, he oversaw the introduction of several new series of grand, upright and digital pianos. Today, the Kawai Musical Instrument Manufacturing Company distributes acoustic and digital pianos to over 80 countries. It is one of the most celebrated musical instrument companies in the world, having received over 43 major international awards for excellence in the past 17 years. And in the United States, Kawai's K-3 Professional Upright piano was named "Acoustic Piano of the Year" for a record-setting four consecutive years at NAMM.